There’s so much fun to be had, and so little time to have it in. You want to go to uni, and you also want to be riding an elephant, you want a good education and to eventually earn some decent money, but at the same time, you want to see the world before you settle down and have a demanding job and responsibilities. What do you do? What if there was a way to do both at the same time? You think that can’t be possible, but it is, there are ways to do university and travel, at the same time. Here’s how you could be getting the best of both worlds, not missing out on anything and loving life in the library by day and partying on the beach at night. Studying abroad is not only exciting, but it also makes an excellent story to tell when you’re older, it’s an experience you don’t get the chance to do often, and you will learn A LOT. The opportunity to live somewhere and do as locals do is a pretty cool one – but you need to create that opportunity, and actually, money doesn’t have to be a barrier. Many countries in the EU don’t actually charge tuition fees so effectively you can study for free. Have a look at universities in Norway, Germany and Denmark to start with. In some countries, it’s ridiculously expensive for international students, but even so, you can still make it work. Think outside the box, research and have a look at all your options and before you know it you could be right in the middle of an exotic country where you can be studying as well as having exciting adventures beyond what a university in England could ever offer you. Just make sure that the qualification you get at the end of your course is recognised in your field in England too, otherwise there’s no point. If studying abroad for the whole of your degree sounds a little too daunting and a lot to organise and cope with, think about taking one semester or one year abroad instead. A lot of UK universities offer the chance to study abroad within a course. If they say they offer it, make sure you follow up, stay strong and pursue it, it’s often the reason people take the course so make sure you get it sorted as soon as you can. If the university doesn’t have a study abroad programme, then have a look at experiences like Erasmus and see what opportunities they have. Opting to study for an online degree can be a great way of freeing up time to see as much of the world as possible. Whether you’re looking for online business courses from Aston, which you can be completing from India or Australia; when you study online, all you need is a laptop and an internet connection to access your course materials and finish your degree. This means that provided you don’t have important exams to commit to, you will be able to travel anywhere you like while studying at the same time. Planning your itinerary around the course requirements is essential if you’re going to succeed in your degree. Don’t plan an action-packed week, for instance, when you know you have a major assignment to complete. This is the reason so many people think it’s not possible, but it is, travelling and studying just take a bit of planning. If you have a lot of work on, plan to visit low-key and relaxing destinations during this time. Go to places where you know you won’t be distracted or utterly exhausted from a full day travelling. To succeed, you’re going to need specific tools and technology to stay connected. A smartphone is the best tool to travel with, as it allows you to keep track of differing time zones which is really useful when abroad. Your smartphone also acts as an internet backup should your laptop go down, and there are even fantastic smartphone apps now designed specifically for travellers. These apps give you the tools for translation, maps, currency exchange and city guides at the click of a button. You’ll also need a laptop with the capability for a wireless connection for completing and submitting assignments, and you should travel with international adapters for all of your technology. 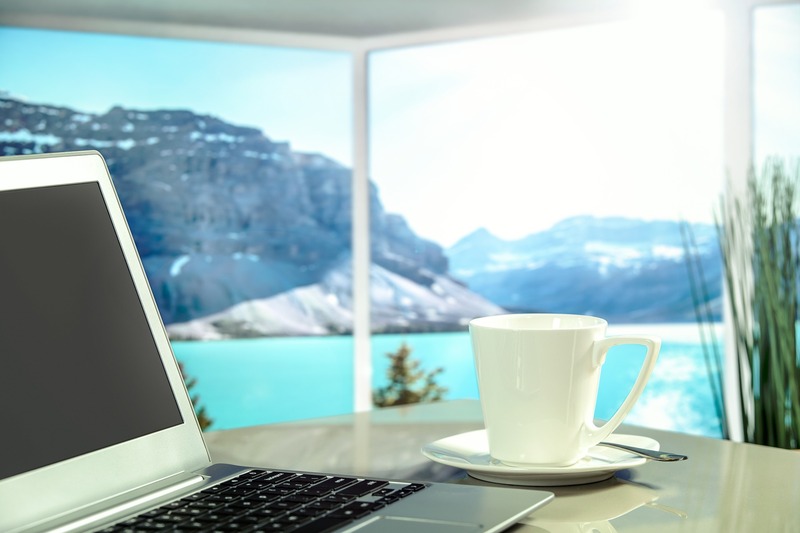 Of course, you will need access to the internet, so make sure you’re visiting destinations and booking accommodation with a good internet connection. When you’re travelling you’ll likely be jumping through multiple time zones, so keeping on top of this is crucial. Your smartphone is a great tool which can help with this. Most UK universities break up for the summer in mid-June and don’t go back until the end of September. That’s 12 weeks to play with, so you could potentially even work for six weeks to get money, and still have another six weeks to go somewhere. If you pick a country in South East Asia, you could travel very comfortably for six weeks on a few hundred pounds. There are so many things you can do and having this amount of time doesn’t happen often, so you could have a look at working at a summer camp in Western Europe, or join a tour through Africa, or even see about a short volunteering project. If money is a factor, which it often is, then there are plenty of options to travel for a very low cost. Have a look at workaway.info for summer projects or go and teach at camp in the USA. This is one of the cheapest things you can do during summer, and you get paid at the end of it too. University winter holidays usually run from mid-December to mid-January – so again that’s a nice chunk of time, around three or four weeks, which could be just the perfect amount of time to get yourself a seasonal job so you can afford to do something awesome in the summer. Or, if you really want to get away and you have the money, then you could be travelling in winter too. Three are some great bargain trips if you don’t mind where you go and can wait till the last minute. Not only will they be interesting people who you can learn from but if make good enough friends you’ll have free places to stay the world over too. Make friends with international students in your accommodation or on your course – they could become good friends for life and will be the perfect guides to their home town. If you’re lucky, you might have a Monday or Friday or both off from your course. If this is the case, then you’re fortunate enough to have some lovely long weekends to make the most of. There are some really cheap flights out of the UK if you don’t take any luggage with you and you can keep life exciting by going at the last minute to wherever’s cheapest, you’ll be able to find deals for around £20. Hostels are cheap too and in most of Europe there’s a lot to see in every city for free or for very little. You can also use your student card wherever you see the sign for some great offers and discounts. This is an excellent way to combine seeing Europe with the security of towing the line and getting your degree at the same time. There’s absolutely no point planning all the trips in your spare time if you can’t keep up with your studies. It defeats the point if you then have to go and repeat a year because you were too busy planning or travelling, which will cost you even more money and time. You’re going to need your organisational skills and productivity levels at the top of their game so that you have the time to work as well as explore in your holidays and time off. Which is another excellent life lesson to learn. All the planning will be worth it in the long run though. It is a myth that students can’t travel the world and succeed in their studies at the same time, and you could be one of them.